Building Partnerships to Reach Diverse Youth – Produced by the Extension Center for Youth Development diversity and inclusion shared learning cohort, University of Minnesota. 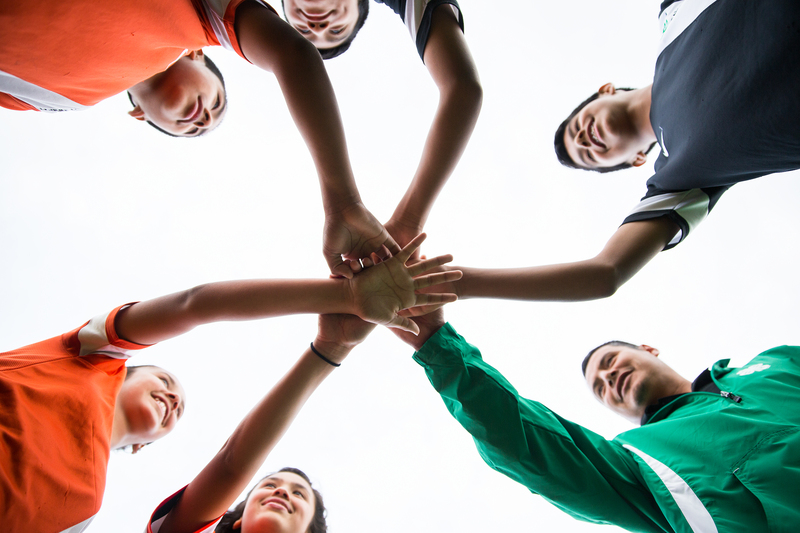 Culturally Responsive Youth Work Matters – Explore our own cultural biases and learn how culturally responsive youth work practices can create a sense of belonging and empowerment in children and youth in our programs. 2012, University of Minnesota. Office of Equity and Diversity, WSU – The Office of Equity and Diversity will achieve this by fostering collaborative partnerships, engaging cultural differences, promoting dialogue, advancing knowledge, and providing community spaces. Teaching Tolerance – A blog where teachers who care about diversity, equity and justice can find news, suggestions, conversation and support. Youth-Adult Partnerships – Produced by the Extension Center for Youth Development diversity and inclusion shared learning cohort, University of Minnesota. Center for Victims of Torture – The Center for Victims of Torture works toward a future in which torture ceases to exist and its victims have hope for a new life. We are an international nonprofit dedicated to healing survivors of torture and violent conflict. We provide direct care for those who have been tortured, train partners around the world who can prevent and treat torture, and advocate for human rights and an end to torture. “My Name Is…” includes stories and art by refugees in Minnesota Schools. Collaborating to Engage immigrant Communities – Produced by the Extension Center for Youth Development diversity and inclusion shared learning cohort, University of Minnesota. Immigrant Legal Resource Center – This handbook for immigrant youth living in the U.S. has valuable information about living, working and studying here. Mentor: The National Mentoring Partnership – MENTOR’s mission is to improve and increase mentoring relationships for young people. Download their toolkit focused on skills for program leaders to design, plan, manage and evaluate youth programs specifically for immigrant youth. Each chapter has tools and exercises to help build strong mentoring relationships that can change new Americans’ lives. 4-H Guidance for Inclusion of Individuals of All Gender Identities, Gender Expressions, Sexual Orientations, and Sexes – This document outlines guidance from the National 4-H Program Leaders Working Group and 4-H National Headquarters on inclusion in 4-H clubs. These guidelines are for all members of 4-H communities, including staff, faculty, youth members, adult volunteers, families, and other community members. 4-H Camp Practices for Inclusion of Individuals of All Gender Identities, Gender Expressions, Sexual Orientations, and Sexes: FAQs – Document from the University of California 4-H Program; offers guidance for the creation of safe, supportive environments for all 4-H participants, including FAQs about shared housing, bathroom facilities, communication tips, and more. Currently being adapted by WSU. “What’s the big deal with pronouns” Blog post from a 4-H Youth Development Educator for the University of Minnesota’s Youth Development Insight blog. “Safe spaces matter more than labels for LGBT youth” Blog post from a 4-H Youth Development Educator for the University of Minnesota’s Youth Development Insight blog. WSU Gender Identity/Expression and Sexual Orientation Resource Center – Link to GIESORC’s resource page for WSU students, faculty, parents and the community for further education and reference to LGBTQ+ topics. GLSEN (Gay, Lesbian, Straight Education Network) – Pronounced “glisten,” GLSEN is the leading national education organization focused on ensuring safe and affirming schools for LGBTQ students. GSA Alliance – GSA Network is a next-generation LGBTQ racial and gender justice organization that empowers and trains queer, trans and allied youth leaders to advocate, organize, and mobilize an intersectional movement for safer schools and healthier communities. Gender Spectrum – The Gender Spectrum’s mission is to create a gender-inclusive world for all children and youth. The offer education, online resources, and a community network to help families, organizations, and institutions increase understandings of gender and consider the implications that evolving views have for all of us. PFLAG – Founded in 1972, PFLAG is the nation’s largest family and ally organization. There are more than 400 chapters throughout the United States. The Role of Race and Ethnicity in Mentoring Relationships – An overview of research about the effects of gender, age, ethnicity and culture on mentoring. Sanchez provides examples of how these factors may have different influences on outcomes for specific groups of youth. 2007, University of Minnesota. Black Youth Project – Online hub where scholars, educators, activists, youth and youth allies can access resources to empower and develop black youth voice. Native American Community Development Institute – An alliance of the major Indian nonprofits and several Indian businesses in the metro area. Committed to building community through sector economic development and large-scale development. NACDI works with American Indian nonprofits to rebuild their structure to respond to the demands and opportunities of the economy. What is Your Definition of American Indian? – Requires WebEx. Explore our own cultural biases and learn how culturally responsive youth work practices can create a sense of belonging and empowerment in children and youth in our programs. 2016, University of Minnesota. Working with American Indian Communities – Produced by the Extension Center for Youth Development diversity and inclusion shared learning cohort, University of Minnesota. Fostering Religious Inclusion – Produced by the Extension Center for Youth Development diversity and inclusion shared learning cohort, University of Minnesota. Adapting to Serve Youth with Special Needs – Produced by the Extension Center for Youth Development diversity and inclusion shared learning cohort, University of Minnesota. Inclusive 4-H – Wyoming 4-H compiled this collection of resources explaining individual disabilities such as AD-HD, Down’s syndrome, or visual impairment, and more. Important definitions are provided as well as causes, specific challenges, and important considerations for Extension professionals and 4-H volunteers. Leading the Way – A guide to autism-friendly youth organizations. Reaching Youth with Fetal Alcohol Spectrum Disorder (FASD) – Produced by the Extension Center for Youth Development diversity and inclusion shared learning cohort, University of Minnesota. Annie E. Casey Foundation – AECF sponsors many initiatives focused on improving the lives of children, families and communities. Bill and Melinda Gates Foundation – Works to create opportunities for all children in Washington State to thrive in stable families, great schools, and strong communities. Bridging the Higher Ed Gap Between Goals and Success – Joanna Tzenis (UMN) focuses on the “capability approach” and shares some ways youth programs can help young people realize their aspirations. National Center for Children in Poverty (NCCP) – NCCP uses research to promote economic security, health and well-being of America’s low-income families and children. National Council of Young Leaders – This diverse group of youth leaders from across the United States created a call to action: Recommendations to Increase Opportunity and Decrease Poverty in America (PDF). The Role of Risk – This report details key findings on how levels and types of risk impact youth mentoring relationships.